I‌ncreasing demand for raw materials, availability of primary raw materials (poorer ores at lower depths, export restrictions), efficient circular economy, Industry 4.0 and digitization – these are just a few buzzwords reflected in nearly every technical lecture or political statement on recycling and raw materials management. They illustrate the problem, science/research, economy and politics increasingly have to deal with. This was also the case at the 11th Berlin Recycling and Raw Material Conference (BR & RC), which took place in Berlin on March 20 and 21, 2018. Just like in previous years, almost 300 participants from industry, universities, scientific institutions and authorities met to learn and discuss the latest developments of the recycling and raw materials sector in the fields of politics, science and industry. Following a structural change in the past year, the organizer, the Thomé-Kozmiensky Verlag GmbH, Neuruppin, returned to the proven structure of interdisciplinary plenary sessions and technical section sessions in four parallel events on the second conference day. The scientific management was in the trusty hands of Prof. Dr.-Ing. Daniel Goldmann, TU Clausthal; the coordination of the program was the responsibility of Dr.-Ing. Stephanie Thiel from the aforementioned publisher. In addition to the previous topics of the technical meetings, this year a special lecture series has been dedicated to the promotion of environmental awareness and reuse. The conference was opened by M.Sc. Elisabeth Thomé-Kozmiensky, managing director of the organizer, who explained the strategic and organizational reorientation of the Thomé-Kozmiensky publishing house. 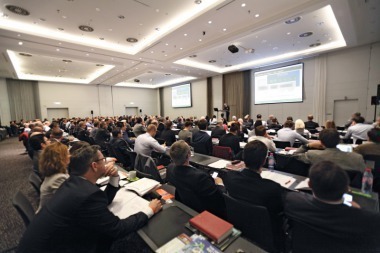 This includes that this year, the first Berlin Sewage Sludge Conference is held in addition. 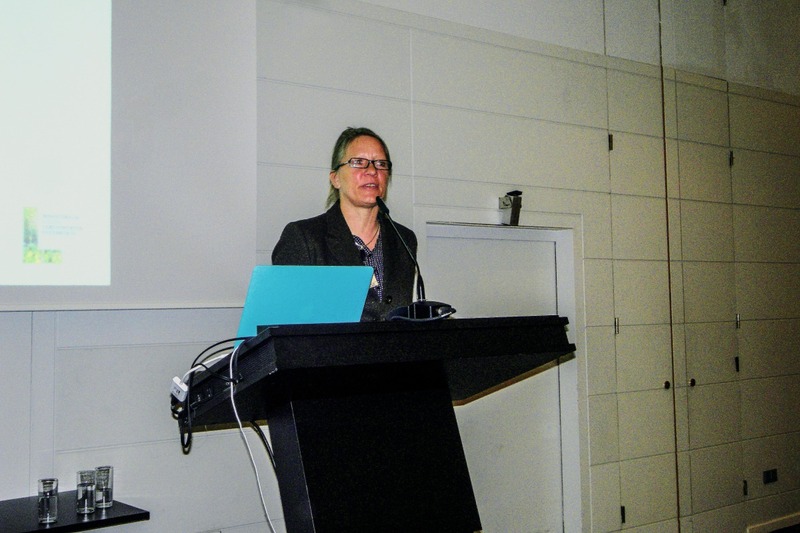 She concluded her remarks with the promise that “even as a limited liability publishing company, the team will continue the legacy of Prof. Karl Thomé-Kozmiensky”. The range of plenary lectures was multifaceted and spanned the issues mentioned before, without presenting revolutionary re-orientations or new legal regulations, but adequately considering the guiding principles of the raw material and recycling industry, such as raw material efficiency, global markets and circular economy. In his opening lecture entitled “Raw Material Turnaround – Resources Turnaround” Prof. Goldmann vividly imparted the importance of public relations to create the respective awareness, since the term Raw Material Turnaround has not yet found its way into the minds of the public. In this context, a drastic change of consumption and use of raw materials is urgently needed both on national and international level. The goal should be a sustainable industrial society with “advanced circular economy”. He referred to the following lectures on this topic and showed that circular systems were becoming increasingly complex, requiring initiatives and networks in the raw materials and recycling sectors. The aim should be the establishment of a global structure to secure a sustainable supply of raw materials with partners from all five continents. A good start is the European Innovation Partnership (EIP) Raw Materials as well as the Knowledge and Innovation Community (KIC) EIT Raw Materials with 100 partners from 24 EU states or the new German virtual resource research institute GERRI. Finally, Prof. Goldmann outlined the further conference program. 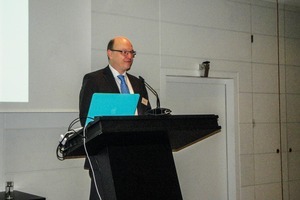 An insight into the progress of work on the European political level was given by Gunther Wolf, European Commission Brussels, in his lecture entitled “Circular Economy – Priorities of the EU Commission and Developments”, in which he presented the circular economy concept as well as the waste concept of the EU. The speaker lamented the well-known fact that while excellent strategies and rules were established, the implementation in the individual countries was still on very different levels. Moreover, the principle of the waste hierarchy was not really lived. Again, both the political will and the participation of society are required. After all, all EU countries are required to reach a recycling rate of 50 % by 2020, in the hope that a clear definition for this is available. Dipl.-Geol. Klaus Hieronymi, Circular Economy Research GmbH, Oberursel, who works as a strategy consultant for HP Inc., Palo Alto/USA, reported about both the difficulties and the successes in using plastic recycling materials from own waste equipment, taking HP printers as an example. He illustrated the arduous but rewarding way to market a printer containing recycled plastics. His market research showed that the initial success was based on environmentally conscious customers (about 10 %), the “standard customer” however is skeptical and equates “recycled” with lower quality. In such a case, convincing the customers means additional expense for retailers. Even different naming can be helpful, e.g. using PCR materials (PCR = Post Consumer Recycling) from own used equipment instead of recycled material from “Close Loop”. However, this also involves return and collection strategies as well as the integration of areas, such as dealer management, sales chains or PR by the environmental department. In this way, it was possible to deliver the first devices containing 10 % of recycled plastic in August 2017. However, this share shall be increased to 20 % in a second phase. A similar success could be reported by Prof. Dr.-Ing. Dr. h.c. Marcus Reuter, Helmholtz-Institute Freiberg for Resource Technology: Simulated design for recycling using Fairphone as an example. The manufacturer specifies all products or materials that were used to be able to derive appropriate recycling routes. On the one hand, recycling efficiency depends on the complexity of the EoL product, but on the other hand also on its modularity, which has an opposite effect. Complexity forces us to recycle to an optimum, not to a maximum extent. Prof. Reuter calls on the manufacturers to make data available, since they are indispensable to carry out simulation. A look at the Austrian recycling industry was provided by the lecture of Dr. Ina Meyer, Austrian Institute for Economic Research, Vienna. She presented a study that quantified the recycling industry in the year 2014 by means of a model analysis, taking into account physical variables (material flows) and monetary values (prices) as well as their macroeconomic value-creation and employment effects. While these effects are clear, also positive ecological effects are generated. Metals play a particularly positive role, but are only the beginning of a dynamic development that will cover other groups of substances (electrical and electronic scrap, plastics). Senior government official Dr. rer. nat. Helmut Löwe, Federal Ministry of Education and Research (BMBF), Bonn, presented the new funding initiative of his ministry. Initially, however, he lamented the fact that although there was a new government, there still was no new budget, thus applications for research funds could not yet be approved. The concept of the BMBF envisages a resource-efficient circular economy based on the following premises: raw materials and products are retained in the economic cycle for a longer period, fewer raw material extractions, but higher added value, avoidance of waste and emissions, longer product utilization (repair), new business models. There is an increasing need for research on the related key topics – the design of recyclable and resource-efficient products, digital technologies for the circular and resource-optimized economy, innovative product cycles and business models as well as optimized materials and material cycles. 150 million € are provided for the implementation of the research concept in the period from 2018 to 2023. To that effect, several BMBF funding announcements will be published. 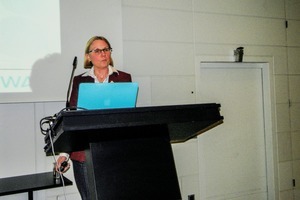 Another study including results was presented under the topic of “Resource efficiency through Industry 4.0 – potentials for SMEs in the manufacturing industry” by Prof. Dr. Liselotte Schebek, TU Darmstadt. Within the framework of the study, which involved seven project partners and three Fraunhofer institutes in addition to the TU Darmstadt, a methodical survey on the impact of digital transformation on resource efficiency in industry was carried out for the first time. A systematic methodological procedure to determine resource efficiency was developed, 10 case studies were conducted in real companies, individual measures of Industry 4.0 were identified and their resource efficiency potentials were examined. Then, on the basis of the findings obtained, recommendations for action were derived. 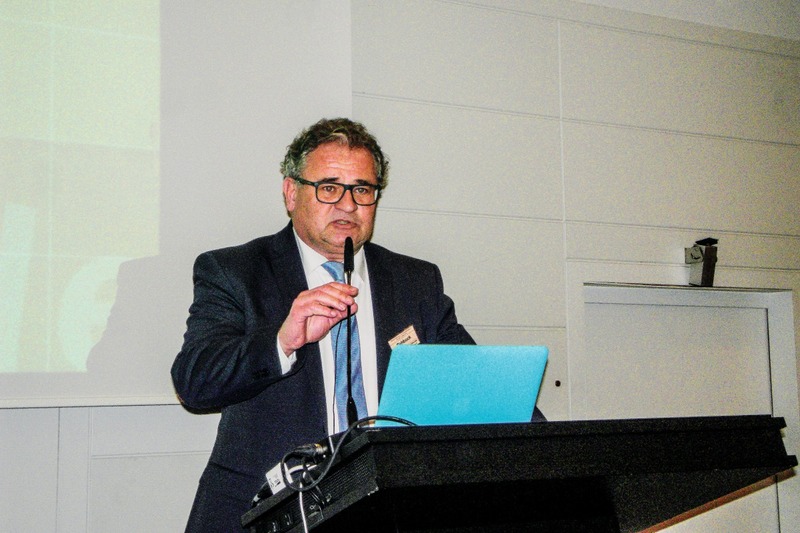 A comprehensive and critical analysis of the “recycling industry in Germany against the background of national and European developments” was provided by Eric Rehbock, Managing Director of the Federal Association of Secondary Raw Materials and Waste Disposal e.V., Bonn. He attached the attention it deserved to the extraction of secondary raw materials in Germany the attention it deserved, without breaking into euphoria. Apart from the importance of the quality of secondary raw materials and the strengthening of SMEs in the industry, as for example through fair market access for private companies in the circular economy and the prevention of market concentrations, the speaker also addressed the EU Circular Economy Concept and the EU Plastics Strategy. He tackled the Chinese import ban on plastics and its devastating effects on Germany or the EU and highlighted the situation of selected waste streams in detail, thus providing the audience with a comprehensive overview. Despite all recycling, primary raw materials still play a dominant role. Dr. rer. nat. 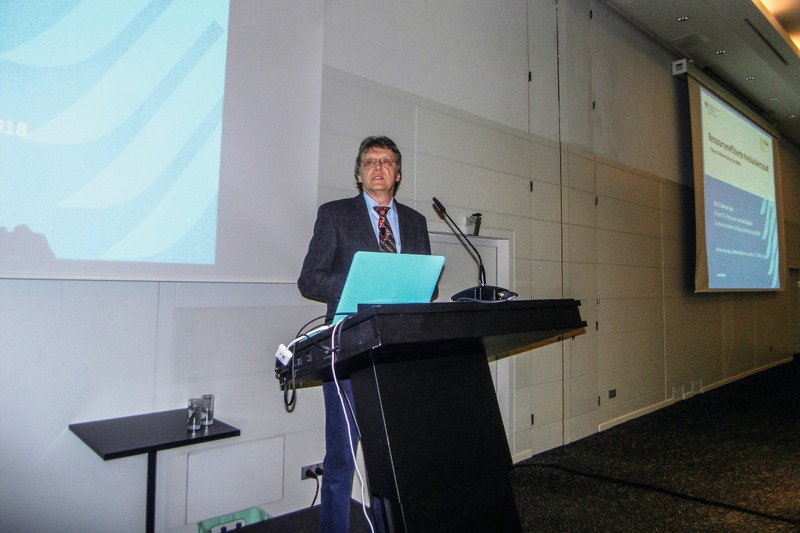 Peter Buchholz, Federal Institute for Geosciences and Natural Resources (BGR), Berlin, informed about current developments on the international raw materials markets. China is and remains number one in terms of production and consumption. No other developing country will achieve such an increase as China does. But – consumption in China is slowing as sustainability and innovation have taken hold. Dr. Buchholz went into state support for strategically important industries as well as into the new import regulations for waste and scrap. Europe, second only to the USA in terms of global resource consumption, is increasingly exposed to trade restrictions that hinder free trade. More and more monopolies arise among the producers (formation of oligopolies, for example China: 90 % of magnesium and 80 % of antimony are produced in China). Finally, the speaker commented on price developments and how they were influenced by factors as the Diesel crisis, electromobility and the energy turnaround. Moreover, he referred to ROSYS – DERA‘s new raw material information system, which is available at www.deutsche-rohstoffagentur.de. 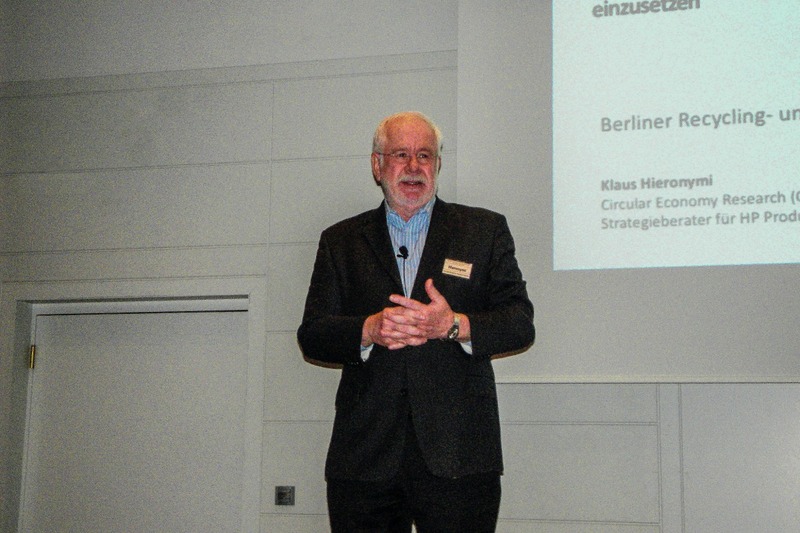 The long-term raw materials turnaround – an environmental project of Germany (Germany 2049 – On the way to a sustainable raw materials management) was in the focus of the lecture held by Dr.-Ing. Matthias Buchert, Öko-Institut e.V. Darmstadt. For 75 abiotic raw materials (metals, building materials, industrial minerals), the essential building blocks for a long-term raw material turnaround were worked out. Using gravel as an example, important measures and instruments for the reduction of the primary raw material demand were presented. Through regular monitoring every four years, the raw material-specific goals and measures shall be reviewed and updated. For 2025 and 2037, two large “inventories” are planned to enable all necessary adjustments. Another environmental project was presented by Dr.-Ing. Asja Mrotzek-Blöss, TU Clausthal: FORAM – Towards a World Forum on Raw Materials, which is funded under the Program for Research and Innovation of the European Union Horizon 2020. The project is intended to create a platform for international experts and stakeholders to promote international cooperation in the raw materials sector and to establish a world forum for raw materials. Traditionally, the first day of the conference closed with a panel discussion, this year with the topic of “Raw Material Turnaround and Raw Materials for Electric Mobility”. 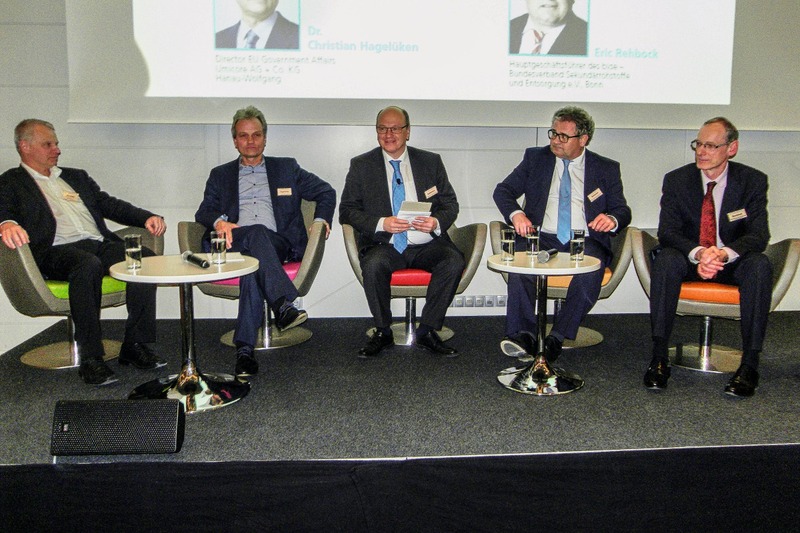 A highly topical subject, addressed by the raw material and recycling experts Matthias Buchert, Dr. Peter Buchholz, Dr. Christian Hagelüken and Eric Rehbock (see plenary speeches). 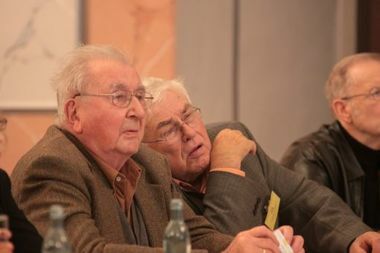 The discussion was moderated by Prof. Goldmann. First, raw materials, in particular construction raw materials and metals, were discussed while global aspects were taken into account and more or less known insights were presented. Germany was repeatedly warned to be careful not to be left behind within Europe and to ensure raw material security. Germany was presented as a country with small raw material endowment – which is only partially true – and it was emphasized that each ton of recycled materials is a benefit for secure raw material supplies. The extraction of raw materials must be brought into harmony with nature and environmental protection. Dr. Hagelüken comprehensively answered Prof. Goldmann‘s questions regarding electromobility and the necessary activities with regard to supply situation and prices: more cooperation along the entire value chain is needed. Since 2008/2010, the focus has been on critical raw materials, circular economy, the climate debate and electromobility, which actually concern the same topic. The initiatives must be pooled, politics must be integrated, the exploration and production of raw materials promoted and the circular economy taken seriously. Also in the field of secondary economy – the topic Prof. Goldberg had touched on afterwards – there is still plenty of need for discussion. For example, the legal frameworks for the recycling industry, which often have an aggravating effect, such as the current discussion about the recycling of cobalt in Europe, which has reached a point of hysteria, or – as is to be expected – the recycling of titanium oxide. In this context, Chief Executive Officer (CEO) Rehbock warned of a “Chemicalization of waste legislation that would destroy the circular economy”. In the field of gravel/sand, he lamented the lack of the substitute building materials regulation, as well as – despite quality assurance – the negating of recycled building materials in the public sector. To this end, he again called for the equal treatment of primary and secondary building materials in tenders and the role model effect of the state sector. 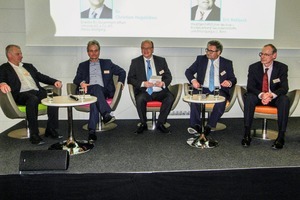 Another focus of the panel discussion was put on raw materials for electromobility and their safeguarding. Prof. Goldmann pointed out that in addition to the primary raw materials (e.g. Ni and Co from the Congo), recycling would have a great potential in the medium term. For example, about 25 000 to 30 000 t of Li-ion batteries will be produced each year, which can serve as a raw material source. Corresponding recycling methods are known, the collection of the batteries however is regarded as a negative aspect. CEO Rehbock added that not only the collection, but also the treatment could be improved, and he suggested the following way: local collection and regional pretreatment in special processing plants. 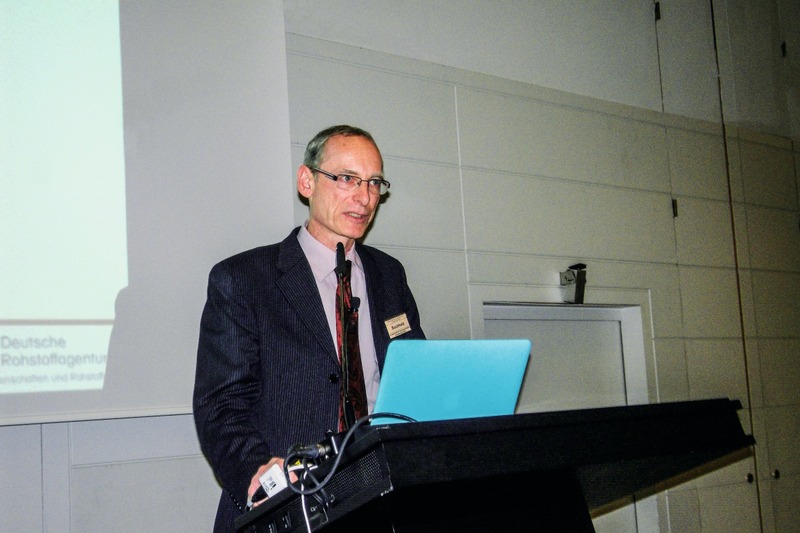 Dr. Buchholz also emphasized that clear strategies were needed for the recycling of Li-ion batteries, which in turn required a clear legal framework that, unfortunately, does not exist. However, one thing is clear: electromobility will come. Battery return will ensure the availability of Li, the lead time however can be expected to be approx. 8 years. This time should be used to develop sophisticated technologies. In contrast to this, Dr. Hagelüken argued that technical development was adequate, but as already mentioned, the collection still represented a problem. Moreover, the framework conditions should define, among other things, what recycling really means. And finally, CEO Rehbock once again emphasized that entrepreneurs should be able to rely on the general conditions, i.e. they would only invest if materials flows were ensured, which means: access, marketing and clear unambiguous legal regulations. All told: no overwhelming new insights, but facts, considerations, thought-provoking impulses and requirements, which cannot be mentioned and discussed often enough in order to promote the raw material and recycling industry. It is not possible to go into all lectures within the scope of this report. In the following, however, a few technically oriented lectures of selected topics along with their authors are representatively discussed. The entire versatility of the search for recycling opportunities was reflected in the current research projects presented in this section. Be it the dismantling of anthropogenic deposits (landfill mining) to produce secondary raw materials (Dr. rer. nat. Torsten Zeller, TU Clausthal, the pilot project REWITA for the recovery of economically strategic raw materials), the recovery of lanthanum from residues of the production of cracking catalysts through the development and production of selective polyelectrolyte-functionalized textiles (Dr. Klaus Opwis, Deutsches Textilforschungszentrum Nord-West gGmbH, Krefeld) or the recovery and reuse of Sb2O3 and TiO2 from plastic fractions of waste electrical and electronic equipment (Dr. Martin Schlummer, Fraunhofer Institute IVV, Freising). The recovery of metals from oxides of metallurgical slags in the production of alloyed steels is still of great interest, as Prof. Dr.-Ing. Rüdiger Deike, University of Duisburg-Essen demonstrated. Also interesting is the research project “Silver recycling of gas diffusion electrodes from the chlorine-alkali electrolysis” (Prof. Dr.-Ing. Dr. h.c Bernd Friedrich, RWTH Aachen – Recovery of Ag from the so-called oxygen-depolarized cathodes, which contain 70 % of the precious metal, in addition to 25 % Ni and 5 % PTFE). The technical implementation of research results is often the biggest hurdle, as the lecture held by Dipl.-Ing. Sabrina Schwarz, TU Clausthal on the development of an industrially feasible recycling technology chain for NdFeB magnets showed. In this section, three lectures were dedicated to the collection of these old devices, which are the prerequisite for economic recycling and allow for numerous optimization variants. Alexander Neubauer, Waste Management and Urban Cleaning VKS in the Association of Municipal Enterprises e.V., Berlin, spoke about the practice of municipal collection and in particular of the provisions in the implementation of the ElektroG 2015 on the basis of the six new collection groups in the bring system (recycling centers) as of 01.12.2018. Dipl.-Chem. Hermann Nordsieck, bifa Umweltinstitut GmbH, Augsburg discussed the collection of electrical appliances in depot containers in consideration of the benefits and risks. His conclusion: In the field of small electrical appliances, depot containers can contribute significantly to tapping the theoretical collection potential. First research results of the EU project FORCE (project term 09/2016 to 08/2020), in particular with regards to new concepts for the collection, repair and recycling of waste electrical and electronic equipment (WEEE) in Hamburg were presented by Reinhard Fiedler, Cleansing Department of the city of Hamburg. Together with cluster partners (inter alia, HafenCity University, University of Applied Sciences, Aurubis AG, Stilbruch GmbH), an app with information on WEEE repair shops, sales prices, etc. shall be developed, repair cafes and WEEE collection points shall be set up, existing collection systems optimized and a pilot test for a new collection system be initiated in Hamburg. During the project term, the recycling of additional 800 t of waste electrical equipment is planned, 300 t of which will be disassembled to recover strategic metals such as Au, Ag, Pt, Pd and Cu. In his lecture entitled “Constant change in the treatment of waste electrical equipment”, Dipl.-Ing. Hannes Fröhlich, Elekctrocycling GmbH, Goslar, looked back on the past 15 years since the adoption of the European Directive on Waste Electrical and Electronic Equipment, which had to be implemented in national law by 2008. This period saw numerous activities both in the European and the German legislation as well as with regard to technical innovations and development of manufacturers of electrical and electronic products and concerning disposal and recycling. The rapid development of device technology requires constant adaptation of treatment processes and plant technology to be able to cope with the considerable diversity of waste electrical equipment and to ensure effective and safe recycling. With increasing miniaturization of components, it is getting increasingly difficult to recover clean recyclables. The same applies to the use of composite materials. 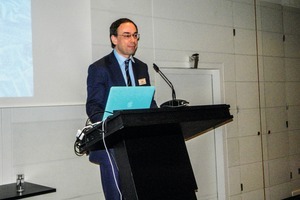 Strategies for the sustainable supply of raw materials for electromobility, focused on raw materials for Li-ion batteries, were the subject discussed by Dipl.-Geogr. 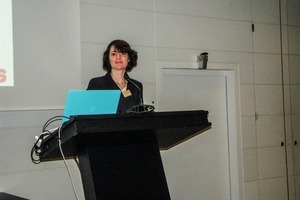 Stefanie Degreif, Öko-Institut e.V., Darmstadt. The presentation given by Dipl.-Geol. Michael Schmidt, DERA/BGR, Berlin, dealt with the availability of the battery raw material Li. The market situation of primary production is characterized by an oligopoly, and this will not change significantly before 2025. The dynamic development of the recent years will continue, and due to its properties, Li will remain a key component for the Li-ion battery. In this respect, the demand for lithium could double or even triple by 2015. Market observation will be required, and alternative strategies preventing delivery bottlenecks and price increases, such as long-term supply contracts or project participations, are recommended. In her lecture, Ing. DI mont. Astrid Arnberger, Saubermacher Service AG, Feldkirchen/Austria, went into the recycling of Li-ion batteries. A treatment process for the recovery of the valuable metals Fe, Al and Cu had been developed. The speaker demonstrated the known difficulties ranging from collection and transport to dismantling and storage up to available quantities and profitability. Moreover, the hybrid plant in Bremerhaven was presented, which had been built at the beginning of 2018 to handle a throughput of 10 000 t/y and which processes not only Li-ion, but also alkaline/manganese batteries in order to achieve profitability at all. 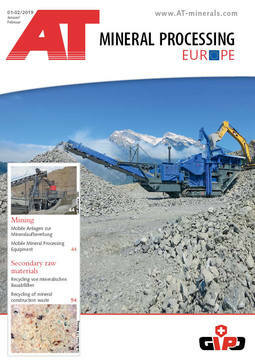 Although quite a few processes with good recycling rates and high qualities have been developed in the field of metal recycling, there are still innovative developments underway, as the lectures in Berlin showed. M.Sc. Simon Hilgendorf; RWTH Aachen for example spoke about “pyrometallurgical processes” for the treatment of lead-containing mixed scrap. The efforts of the industry regarding a sustainable circular economy were illustrated by the speeches of two major group companies from the metal production industry. 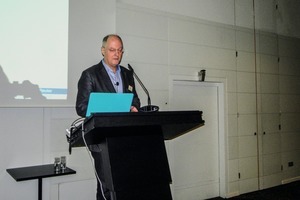 Tom Rosenhagen, Novelis Sheet Ingot GmbH, Seenland/Nachterstedt, the currently largest Al recycling plant worldwide, reported on “Future challenges in closing material cycles in a fully integrated Al recycling plant”. A further lecture came from the Aurubis company, the world‘s leading company in the field of Cu-recycling. Dipl.-Ing. 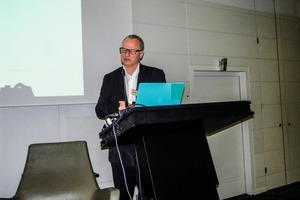 Andreas Nolte, Aurubis AG, Lünen reported on “Metals for Progress”, the company‘s sustainable multi-metal production program. Already today, 19 metals are extracted from primary and secondary raw materials. It is envisaged to invest in a process extension called “Future Complex Metallurgy” by 2010/2021 and to use about 270 000 t of complex primary and secondary raw materials through additional facilities such as molten bath, leaching and electrolysis. The “Operational conditioning of recyclables in tantalum recycling” was presented by Prof. Dr. Frank Schulenburg, H.C. Strack GmbH, Goslar. To be able to cope with the special challenges involved in the recycling of refractory metals, including Ta, a new preconditioning concept for raw material processing was developed. Thanks to the optimum selection of equipment – a granulator – sludge and filter dusts can be supplied to the subsequent thermal processes in a dust-free way, which results in considerable energy savings. The Berlin Recycling and Raw Materials Conference is still the largest of its kind in Germany. The interest in the event is unabated, the organization excellent and the return to only four sections certainly an advantage. Again, the organizer managed to invite outstanding speakers. And above all, in the technical part on the second day of the conference, the participants were provided with a wealth of interesting topics – research projects as well as scientific investigations and industrial applications. Just as in the past year, the conference was followed by a lot of research in the field of science with a high level of commitment and inventiveness to enable a sustainable circular economy and to leverage Industry 4.0. Industry is intensifying its efforts to implement research results and to cooperate with scientific institutions to put sustainable raw material and circular economy into practice. Hope remains for participants from industry and trade that engineering and application-related topics will gain the upper hand again – just like a few years ago – and will not be marginalized at the expense of politics, strategy and large-scale research projects. Politics is still lagging behind, draft laws are not sufficient and their adoption, implementation and control are urgently required. This applies in particular to the respective European laws and regulations. Most lectures are included in “Recycling and Raw Materials” Vol. 11, ISBN 978-3-944 310-40-4 Thomé-Kozmiensky ­Verlag GmbH, Neuruppin 2018 or available under http://www.vivis.de/fachbuecher/recycling-und-rohstoffe/464-recycling-und-rohstoffe-band-11. 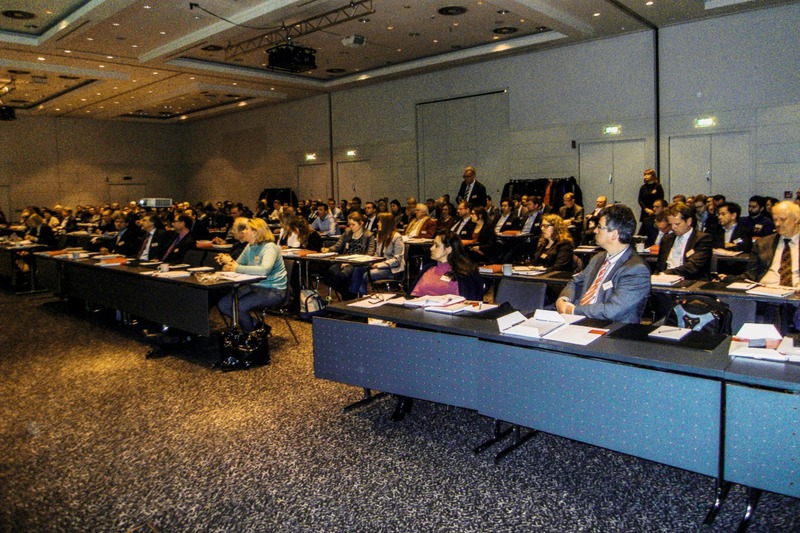 The next Berlin Recycling and Raw Materials Conference will take place on 11 and 12 March 2019.